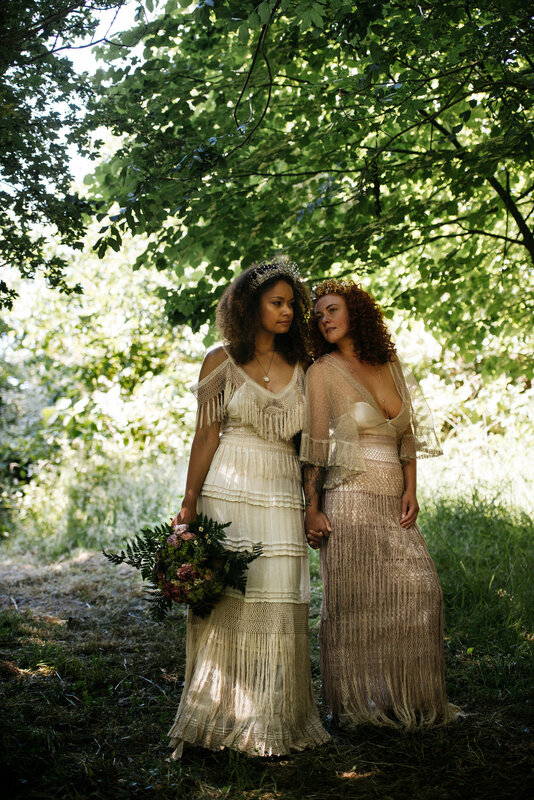 I am always so excited to see my sample dresses used in styled shoots and on blogs... Here are some of my favourites. The styling of this autumnal boho shoot is just so cool, centered around a vintage American Chevrolet. 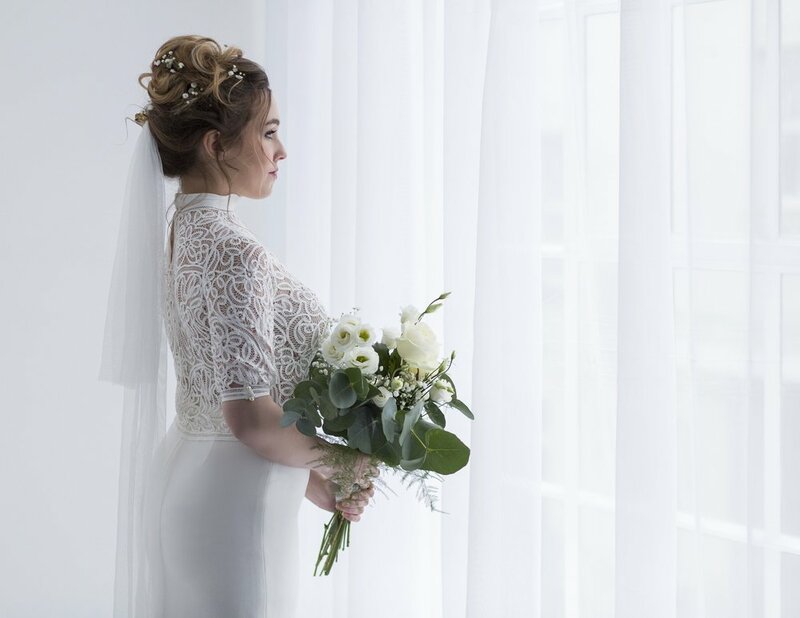 I was honoured to be involved alongside such a talented group of suppliers and to see it featured on Festival Brides. This amazing film from the talent that is Jade at Hushabye Films is playing on repeat at the moment! So cool and fun! This fringed and gold dress worked so well in the urban setting. Featured on Rock n Roll Bride. 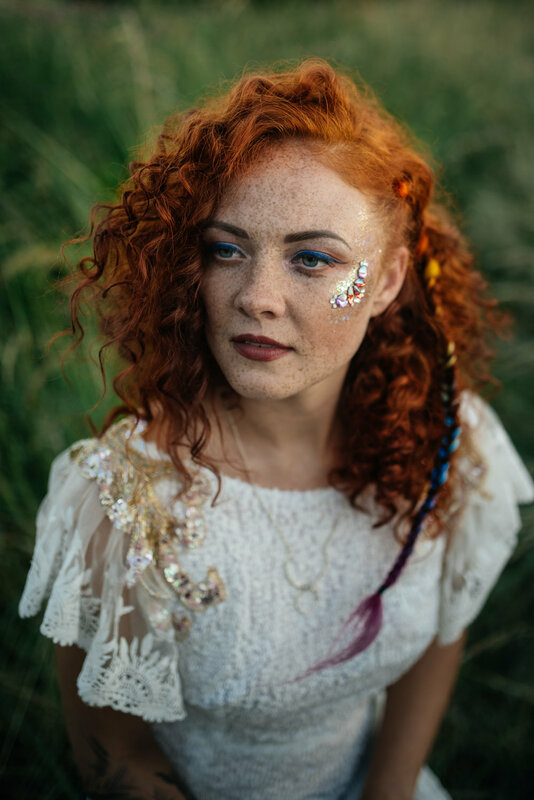 I love the festival feel of this dreamy shoot planned and styled by the wonderful Nikki from Knots and Kisses. 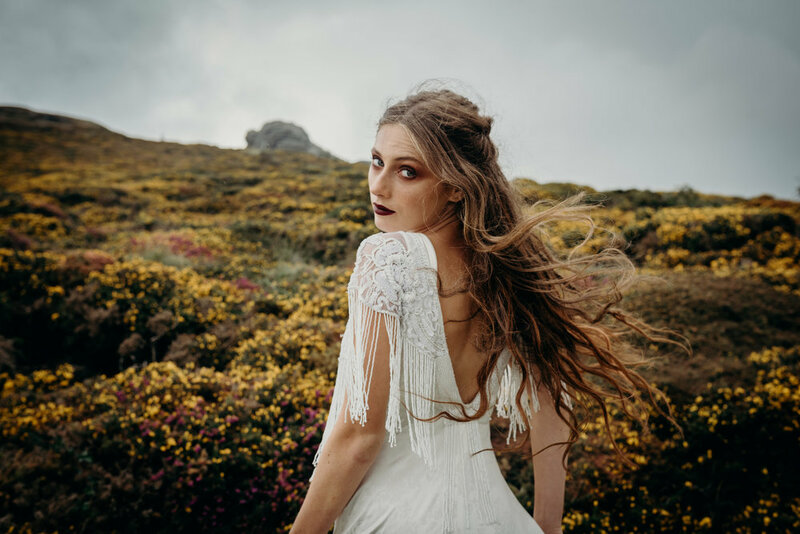 2 of my favourite sample dresses shot on wild Dartmoor against epic landscapes and moody skies. 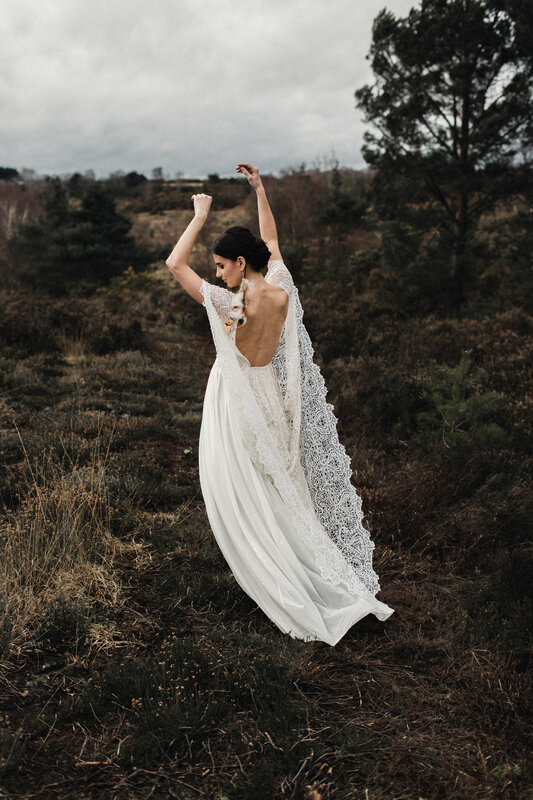 Featured on the brilliant Festival Brides blog. 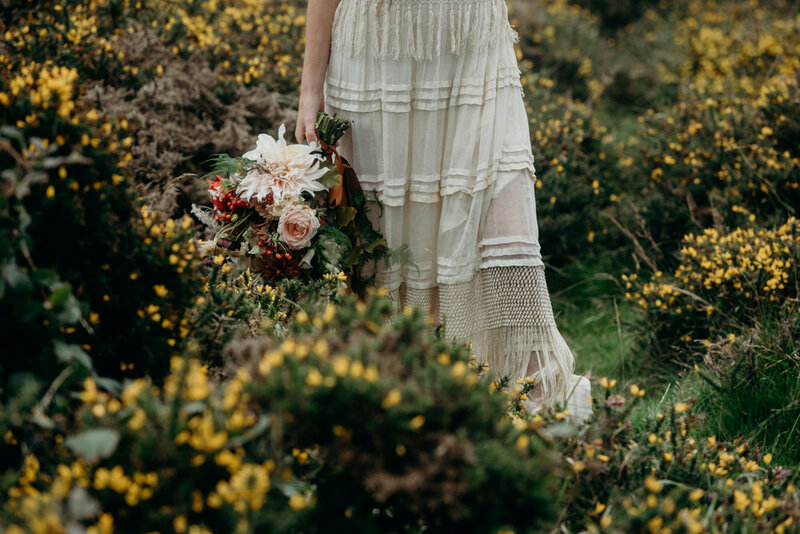 I just love the work of the Braid and Bloom girls, such a talented team and I was trilled to have my dresses on another shoot with them. This one was published on the beautiful Bride and Tonic blog. 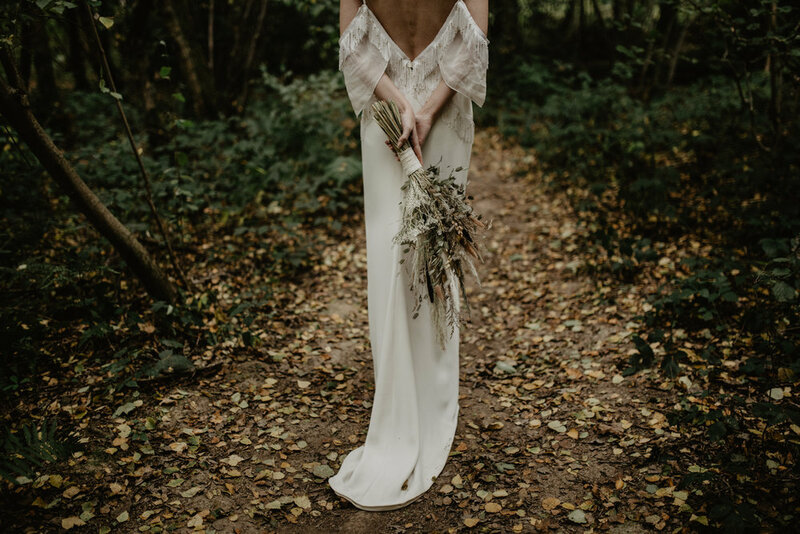 This gorgeous shoot from photographer Caroline Opacic was inspired by her love of cacti and I was over the moon to see it featured on my favourite Bride and Tonic blog. My first collaboration with the incredibly talented team at Braid and Bloom. Some updated samples shot in the beautiful English countryside! A fun little collaboration shoot with some incredibly talented local Kent suppliers.